Chromedge Studios has a rich historical connection to not only Columbus, Ohio, but worldwide events. It occupies a space that was once a pivotal part of winning World War II, when elements of the Manhattan Project were developed here during an 8-month stretch in 1943. Learn More About The Chromedge Studios History! Entrepreneur Lyman Kilgore bought B&T Floor Covering in 1932, making it one of the first African-American owned factories in the United States. In February 1943, DuPont, acting as an agent for the Manhattan Engineer District, contracted B&T Metals to extrude rods of uranium metal pellets for the reactor in Hanford, Washington. In October 1992, B&T Metals was designated for remedial action and by Spring of 1996, the site was released for use without radiological restrictions. In 2017, the space was officially redeveloped by Urban Smart Growth into Chromedge Studios. 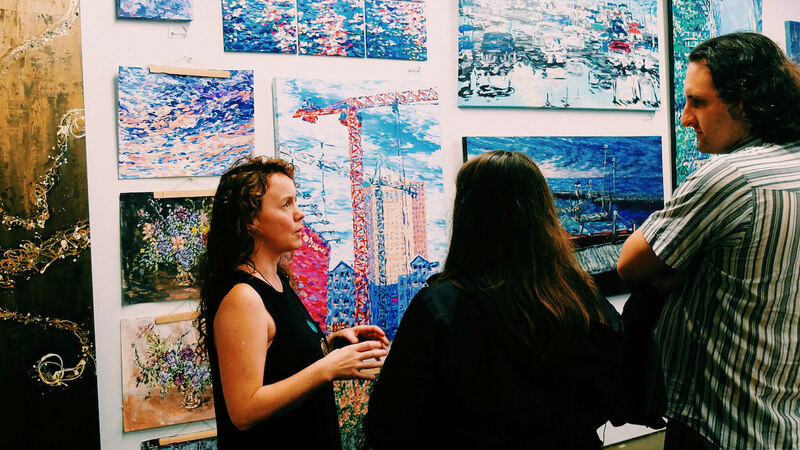 The space now hosts 30 individual art studios and a 2nd floor, 2,500 sq. ft. photography studio. 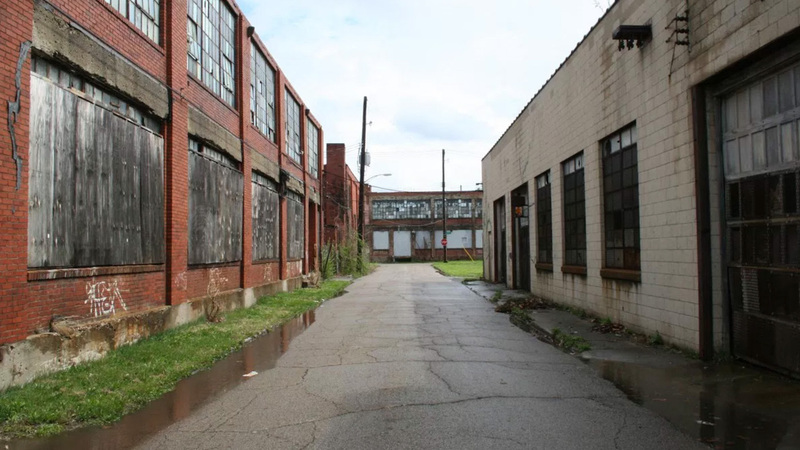 Founded by businessmen William Bonnell and William Thompson in downtown Columbus at the corner of Front and Long Streets in 1930, B&T Metals was originally known as B&T Floor Covering. Entrepreneur Lyman Kilgore bought the business in 1932 and shifted the focus from floor coverings to the aluminum pieces used to hold linoleum and carpeting to the floor and renamed the company B&T Metals. When Kilgore bought the business, it became one of the first African-American owned factories in the United States. Although Kilgore owned the business, Bonnell, who was white, stayed on as its president. In 1935, B&T moved to its location on West Town Street, combining their original factory with its factory at Gift and Rich Streets into one 100,000 square foot operation. By 1943, Kilgore had assumed the day-to-day operations of the plant from Bonnell. As interesting as B&T Metals’ history is, with its pioneering of aluminum production and being one of the only African-American owned factories of its day, the most interesting piece of the company’s history took place over just eight months during 1943. In February 1943, DuPont, acting as an agent for the Manhattan Engineer District (AKA the Manhattan Project), contracted B&T Metals to extrude rods of uranium metal pellets for the reactor in Hanford, Washington. The Manhattan Project was a top-secret project that took place from 1942 to 1946 to develop the first atomic bomb. Since the Manhattan Project was so secret, B&T workers and officials weren’t told of the ultimate plans for the uranium. They did not discover their link to the Manhattan Project until after World War II had ended. Even though it cannot be confirmed, uranium processed by B&T Metals could have been used for the bomb that Columbus pilot Paul Tibbets dropped on Hiroshima, Japan. In the northwest corner of the main B&T Metals building, a dozen men stretched uranium into long rods and then cut the rods into 21-24 inch lengths. The slugs were ground on lathes until they were 7-8 inches in diameter. The secret project that began in March 1943 produced about 50 tons of extruded uranium over six months time. B&T’s active extrusion role ended in August 1943. There were no unusual safety precautions, not even gloves or masks, for those who handled the strange metal. Workers were required to have government-organized physicals every week and, once a month, they visited four doctors in one day. One person who worked with the uranium described rays that would come off the extruded bars like heat waves off the highway. If two bars rolled together by accident, they would cause a spark or small explosion, sometimes causing fire in a wood pilaster. Those working on the project were watched over by armed guards and men with pistols drawn would take the rods from the plant. The FBI even investigated the disappearance of two pieces of uranium. Agents showed up at workers’ homes and requested their assistance in finding the missing uranium. It ultimately turned out to be a government paperwork error. 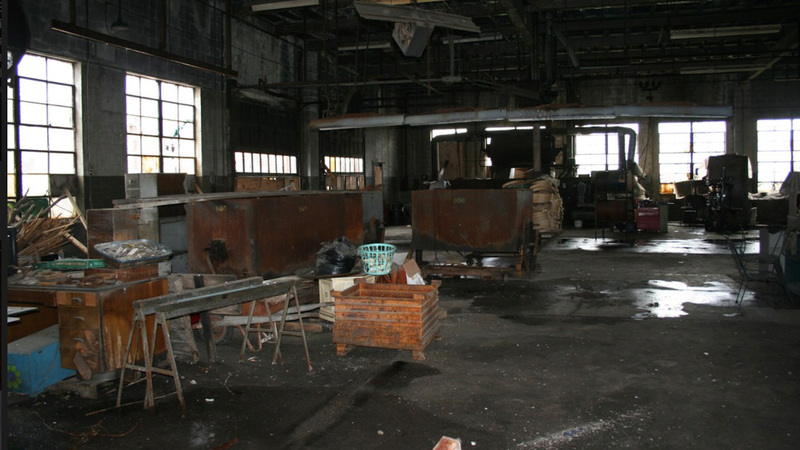 Some cleanup was done at B&T Metals when the Manhattan Project work was completed. But detection and decontamination methods and equipment had dramatically improved by the late-1980s. In 1988 and 1989, radiological assessment identified higher than normal concentrations of uranium in dust on the building support beams, in several floors, sump and drain locations inside the main office building, and in several outdoor locations where uranium shavings were reportedly dumped. The highest contamination levels were about 600 picocuries of radiation per gram. As a comparison, Ohio’s soil typically has a natural radiation of 5 to 10 picocuries. In October 1992, B&T Metals was designated for remedial action. A government contractor was hired and decontaminated the property. In the spring of 1996, a post remedial action survey was completed by the Oak Ridge National Laboratory and the site was released for use without radiological restrictions. The notice was published in June 2001, officially confirming the facility no longer served as a potential radiological health or safety concern. 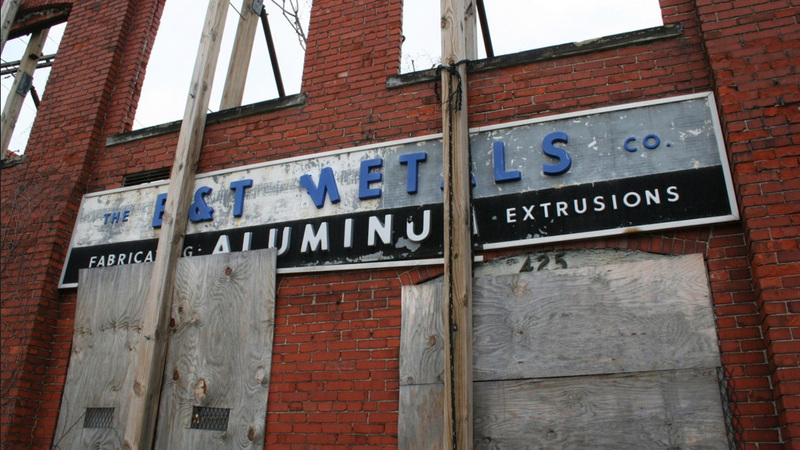 B&T Metals ceased most manufacturing operations in 1982, but continued to employ about 20 people doing specialty aluminum work through the 1990s. By 2005, B&T employed only four people who produced aluminum parts for cars, electronics, and chalkboard frames. In 2004, a 25-yard long section of the main building’s second floor collapsed, throwing bricks onto two parked cars. Luckily no one was injured. City inspectors condemned the deteriorating building where the uranium had once been handled.